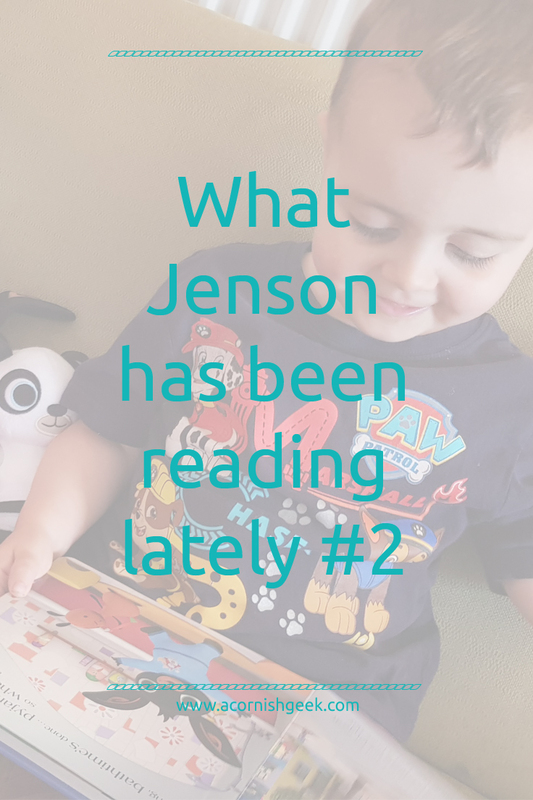 Jenson is a massive bookworm and it’s hardly surprising, given that one of my favourite pastimes as a kid was going to the library and taking out the maximum amount of books. 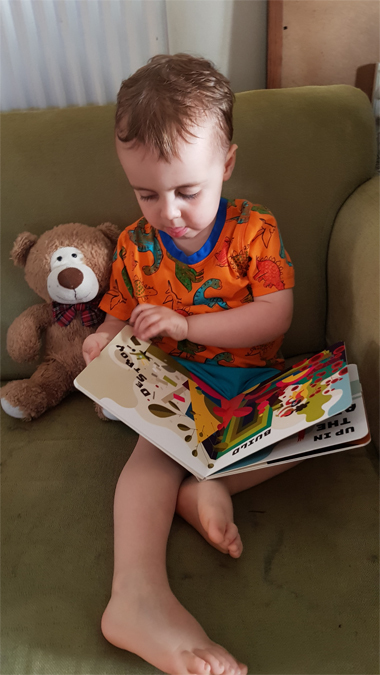 It doesn’t bother me that the TV is nearly always on when we’re at home and he knows how to use my smartphone because he still appreciates the simple pleasure of a book. 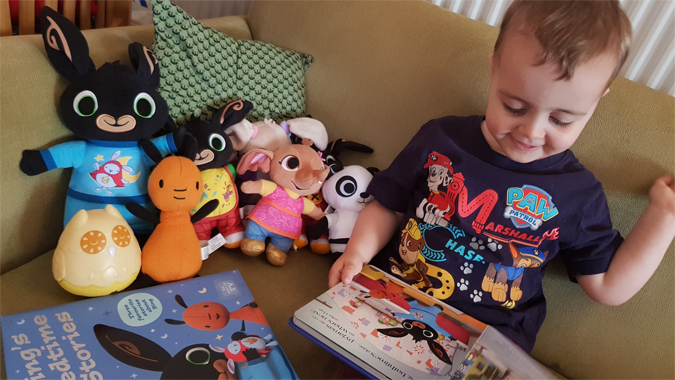 Lately he’s become a lot more interested in actual bedtime stories rather than simply looking at pictures, so I thought I’d share some of his favourites. It started with Frozen. 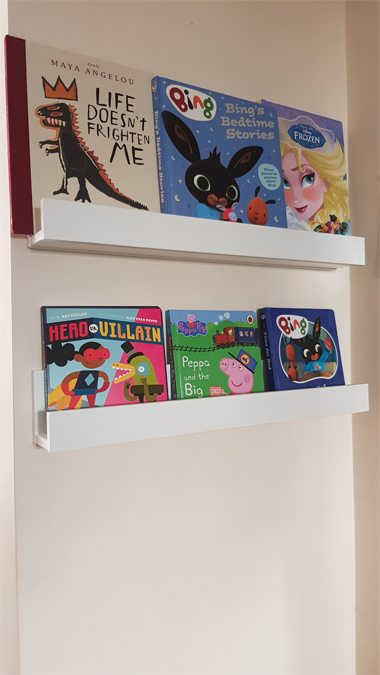 When my brother’s family had a clear out of old books we gave some of them a new home, including a Frozen story book (which I can’t seem to find online). 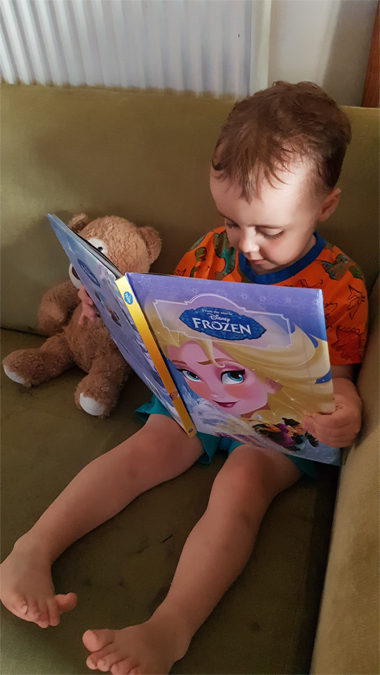 Jenson calls it “Elsa story” and we’ve had to read it in bed every night for at least the last two or three weeks. He’s so familiar with the story and points out key plot points and characters before we even turn the page. Some nights he has even been known to fall asleep before the last page, which is awesome. 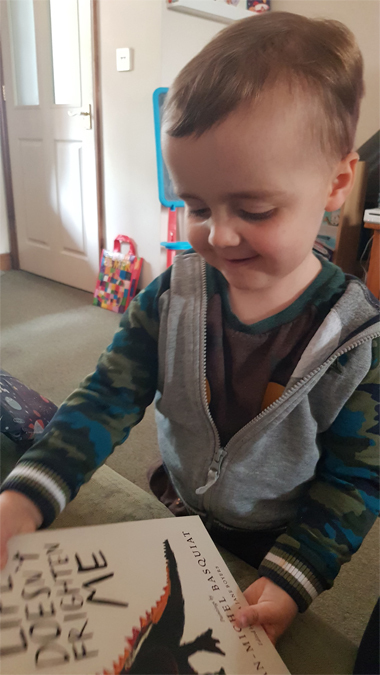 He started asking for Bing stories but we only have a few little board books and an activity book, so I used some of his birthday money to buy some Bing bedtime books from Amazon. 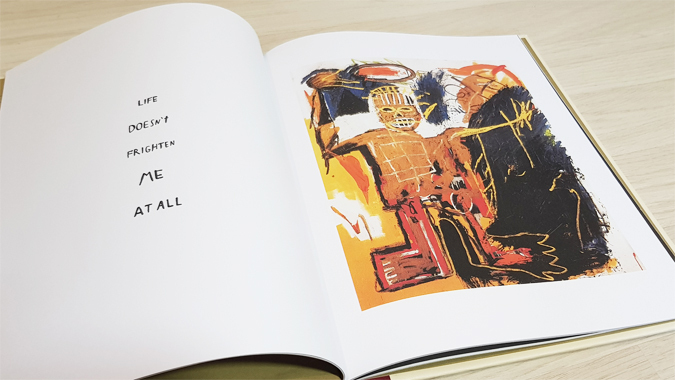 Time for Bed is a board book about Bing struggling to go to bed when blankie gets wet and Bing’s Bedtime Stories is a beautiful hardback containing three individual stories. Jenson much prefers his bigger books these days and calls them his newspapers. 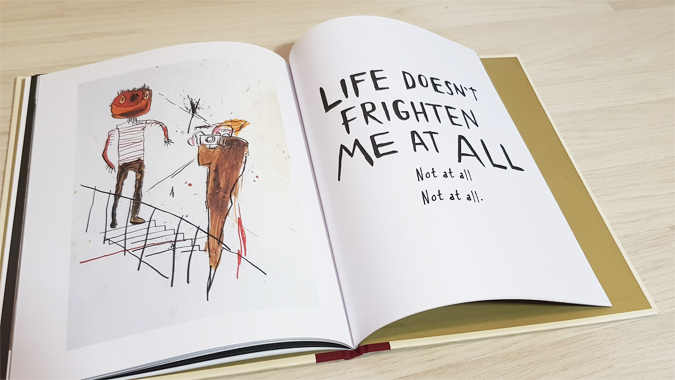 My friend bought him a stunning book for his birthday: Life Doesn’t Frighten Me by Maya Angelou. 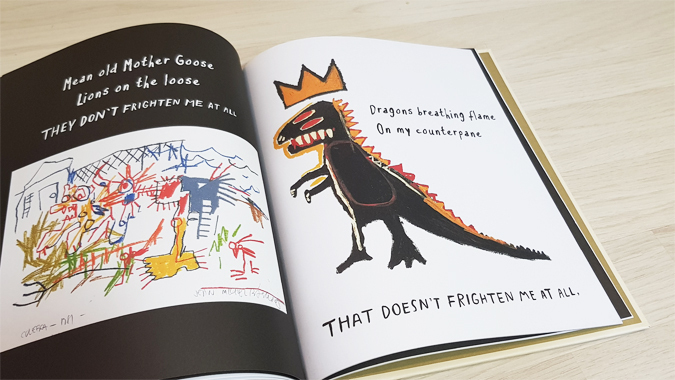 Such a great book for us to enjoy together, as I’m a big fan. Abrams + Chronicle sent us Hero vs Villain* to review. Growing up in a house filled with superheroes, it’s hard for Jenson to not know who some of the big caped crusaders are. He’s now familiar with Spider-Man, Deadpool (oops! ), Superman, Batman and the Joker. Hero vs Villain is such a fun and nerdy way to introduce the idea of opposites. It’s out today.